Whenever you ask any business regarding its top challenges, you can always prepare yourself to hear something about recruiting talent. Smart companies are always looking for great talents around them. Well, it becomes hard to find one among so many names. It’s like finding a needle in a haystack. But, in the field of the digital age, this pain might ease out a little bit. Well, you can always rely on great technology for finding you the best candidate, your firm has been looking for. At present, technology is evolving like a mass revolution. It even plays a vital role in ways, which companies use for hiring talented and expert professionals. Recruiting managers and HR experts are working hand in hand with the modernized digital sector, for checking out on the best talents. Previously, the online job portals were seen as a great supplement to traditional paper ads and personal interview sessions. Right now, the world of recruiting has gone 100% digital. It shows how LinkedIn and other online job portals have already reached the pinnacle of success in this category. Starting from resume to interview search, everything is now done online. People hardly have time to go offline and check on each candidate personally. So, living the task on online fields is a great time-saving measure. It is an inevitable truth that candidates always expect easy and fast application procedure. They don’t have time to sit all day and wait for a company’s reply. And as the competition is quite tough, they have several other firms, ready to grab talents like them. So, they always try to apply for not just one, but more than one firm, at the same time. Therefore, an easy and fast application procedure is what they desire for. If any of the employers takes too long for responding, candidates will start looking for the next best option. At present, talent acquisition has become a market for sellers. For all the employers out there, it all depends on the maximum experience of a candidate through the entire job application procedure. Therefore, the teams are currently looking forward to modernized recruiting measurements, through marketing technologies. These technicalities include employee onboarding, candidate job portals and even off boarding portals. They are further using some specialized tools, which can foster sourcing through employee referral network and job boards. These platforms are quite integrated and cost effective. Furthermore, such platforms are used for enabling the collaborative hiring of none other than the top talented employees. Do not forget that your current employment brand is the main selling point. Technical-savvy candidates would like to evaluate the brand of a firm, before even applying or accepting any job offer. They are further going to evaluate the consumer brands too. They are always likely to search the firm more, for some detailed information. So, keeping a strong employment brand is a key towards success. You have no other option but to make your website a strong tool for engaging some real talents, around the world. The numbers of modernized candidates are seriously increasing. Therefore, recruiters have learned one thing. There is an expectation, which every employee has, before facing any hiring procedure. And this expectation varies a lot from the older lots, working for you already. So, you have to change your thoughts and recruitment expectations accordingly, for attracting some probable candidates towards your hiring procedure. Such modernized candidates are inclining more towards the growing technology, and they do not have any fetish for the recruitment and its legacy concepts. To be effective, recruiters need to look for multiple ways of engaging Generation Y candidates in some new ways. This is mainly true for some passive candidates. These are individuals, who are not seeking for any job right now but are always open for new opportunities. Some employers might have candidate shortage. So, trying to target the passive customers seems to be a pretty daunting task. But, with proper modernized equipment and recruitment procedure, they might get lucky. 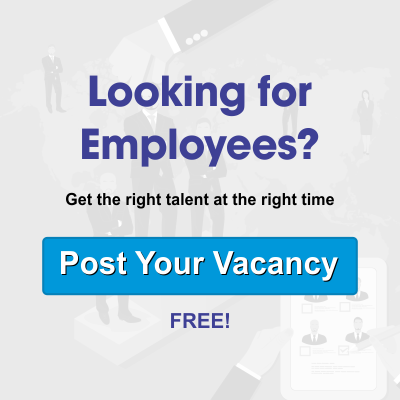 You can even get to choose perfect candidates by checking their social media sites. You might come to know a lot more about your candidates, over there.